It takes 4 weeks for you to notice your body changing, 8 weeks for your friends to notice and 12 weeks for the rest of the world to notice. This is that 12 weeks of your life when you realize some weeks ago, your body couldn’t do what it just did. That is exactly what you would feel when you would be able to do things which you have always wanted to do. Your mirror would reflect the exact shape which you have always dreamt of. What will we do differently? 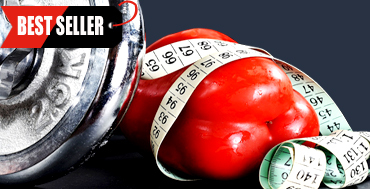 We will be monitoring you closely and notice how your body responds to a particular diet and workout plan. We will discuss the results every week and we will be modifying your plan accordingly. We will take care of your health and your food habits and we will ensure that you are not disappointed with any changes you make. We will assign you a personal mentor and you do have the choice to change your mentor as well. However, if you’re not satisfied with the changes implemented then you can ask for a mentorship change or else simply a refund* and we would not hesitate to refund the complete amount. Our App is coming soon.